The school has a firmly enforced No Bulling Policy. Rob had been pushing the limits, and this day he had ripped up another child’s art work and verbally savaged her in his fifth grade classroom. When Mrs. Brown learned that her day had been interrupted because Rob refused to say he was sorry, she spilled her aggravation across the principal’s desk. “You called me from work for this trivia? What difference does it make if he says he’s sorry? So he yelled at somebody. Kids do that. Anyway, Rob says that you have been hounding him lately.” The principal didn’t yield, “We have a No Bullying Policy in our school and Rob is expected to follow it.” Ron made sullen snorts and Mrs. Brown ramped up her anger. “Let’s get this settled once and for all! You can call me at home in the evening after 8:00. You are not to call me at work, and, furthermore, you are not to ask him to apologize or to discipline him in any way without calling me first!” Mrs. Brown stomped out. 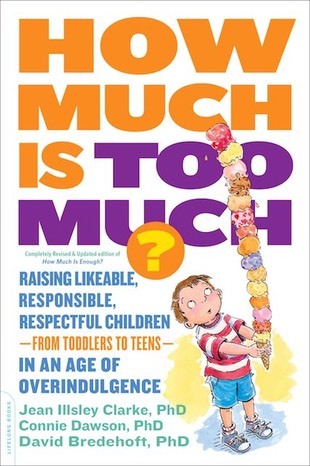 Poor Rob, getting a major dose of “you don’t have to be responsible” overindulgence. Poor Mrs. Brown. She probably thinks she is being supportive of Rob, but she hasn’t a clue about how much support is enough. So what does making amends mean? It means claiming what we have done wrong, deliberately or inadvertently, and doing whatever we can to make it right. It is important to help children make amends starting at an early age. It helps them feel the power of being able to set things right. It teaches them how to rebuild connections. It builds their self-esteem. 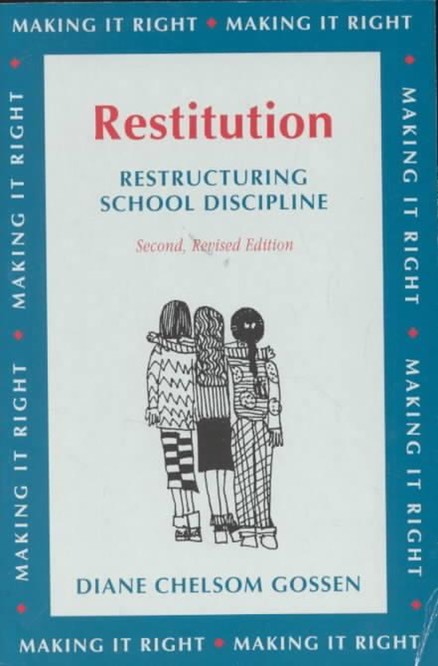 Diane Chelsom Gossen's book, Restitution: Restructuring School Discipline, is written for use in schools, but it offers many examples of ways to help children make amends that parents can use at home. She points out that there are several elements in successful amend making. They do not have to be addressed in a specific order, nor will every single point apply in a given situation. The acts of restitution must be made by the offender and not forced by an adult from the outside. · The person making the amends must put forth effort. if the amender is young. · The amends made must be related to the problem. · The amends should help the amender become a better person. · The amends must be satisfactory to the victim. We all make mistakes. Making amends is a far more powerful way to fix things than saying “I’m sorry.” Learning that skill as a child makes adult life easier.